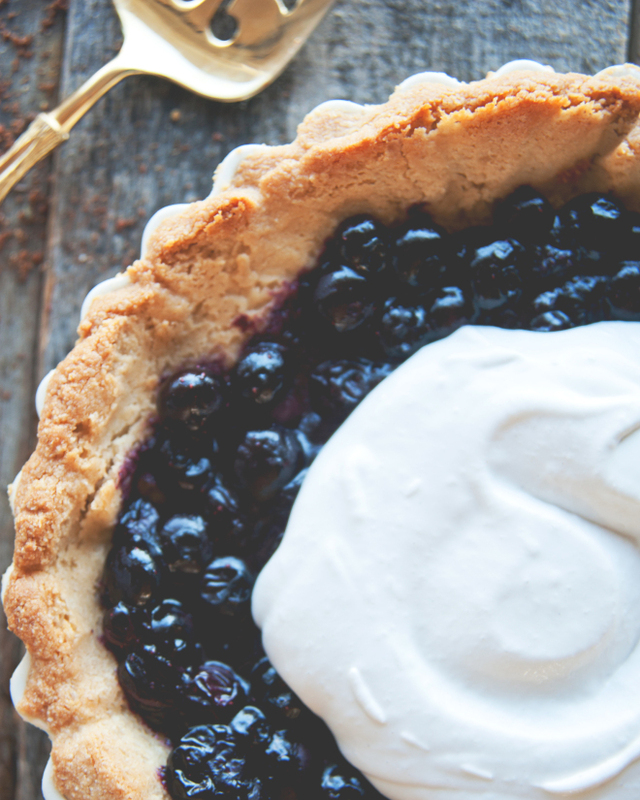 This is summer pie at its finest. 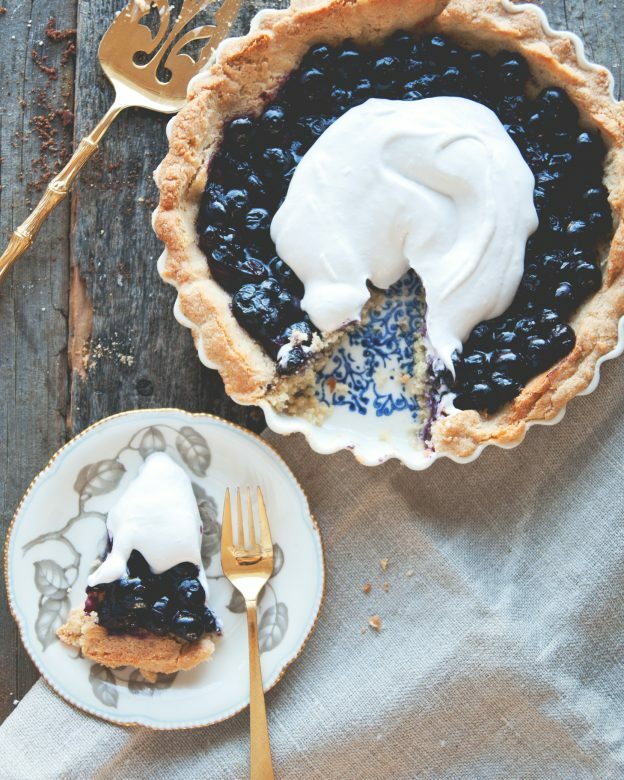 With a tender almond crust and a not too sweet blueberry filling, it is complete with unbelievably fresh and simple coconut whipped cream topping. The crust recipe is pre-baked, and can be made ahead of time. 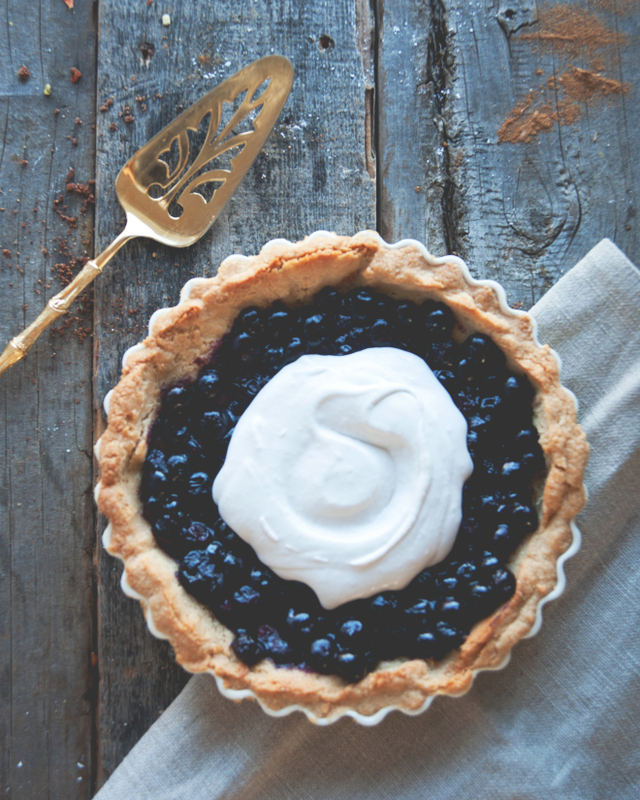 The filling is prepared stove top, making it a perfect quick and easy dessert for an end of summer delight! Enjoy! Blend almond flour and salt in a bowl. Add coconut oil and maple syrup, stirring until dough is formed. Using parchment paper to prevent sticking, gently press dough into the bottom and sides of a pie plate. Place parchment paper over crust and fill with dried beans or pie weights. Bake for 15 minutes. Rinse berries and place in a saucepan. Turn on heat to low, and add lemon juice and maple syrup. Begin to stir. 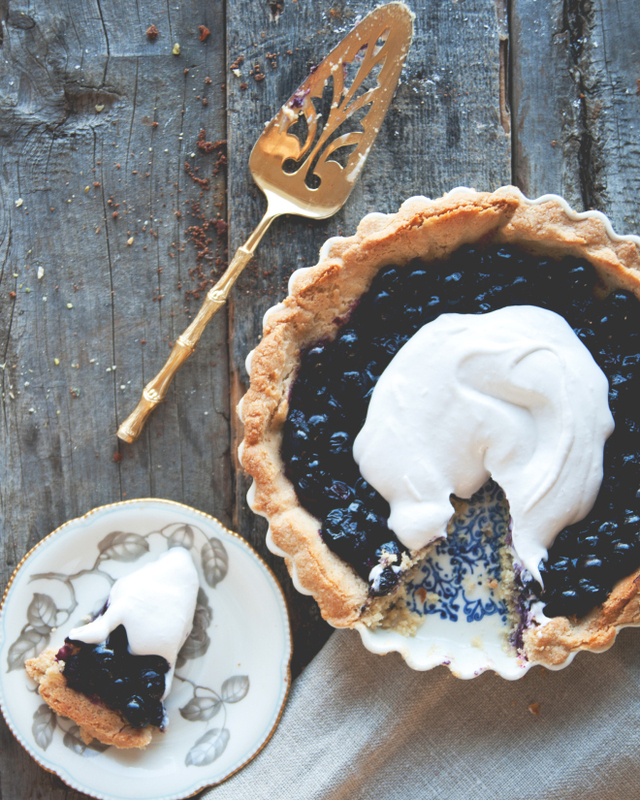 After 4-5 minutes when blueberries begin to soften, slowly add arrowroot powder. Stir until sauce like texture begins to form. Remove from heat and allow to cool. After the coconut cream has set in the fridge overnight, the coconut fat solids separate from the coconut water. Beat the solid coconut cream on high speed until peaks form. Slowly stir in the maple syrup and vanilla extract. Refrigerate until use. When crust and filling have completely cooled, add filling to cooled crust. Top with coconut whipped cream and enjoy! 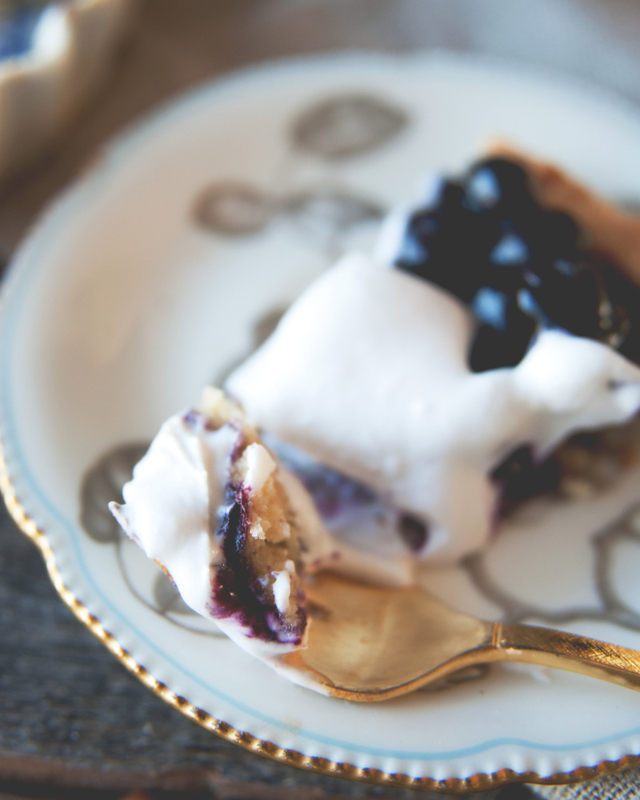 This entry was posted in dessert and tagged baking, blueberry, coconut cream, crust, dairy free, easy, fresh, grainfree, paleo, pie, vegan on August 21, 2015 by sweetlaurel. I wish I could have a piece right now- it looks amazing! What temperature do you bake the crust? I too, suffer from Hashimoto Disease and pretty much gave up on baking. Can’t wait to try your recipes. I miss pies the most.